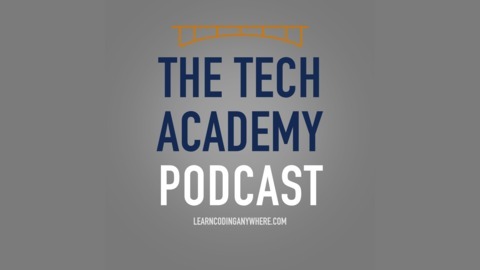 The Tech Academy Podcast is hosted by Erik Gross, experienced Software Developer and co-founder of The Tech Academy. Every week we sit down with fellow tech professionals and enthusiasts, and talk all things tech. From how they got their start, to their vision of the future of tech, and everything in between — you'll get your daily dose of tech talk here! Featured at the end of each episode is Erik's co-founder, entrepreneur and business expert Jack Stanley, who shares with us quick tips and insights on how to succeed in the business and professional world. 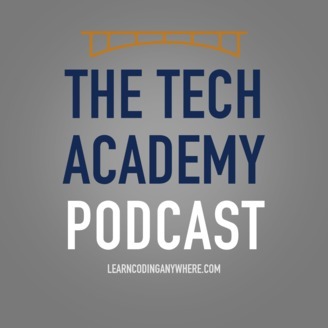 To learn more about the hosts and The Tech Academy visit Learncodinganywhere.com.